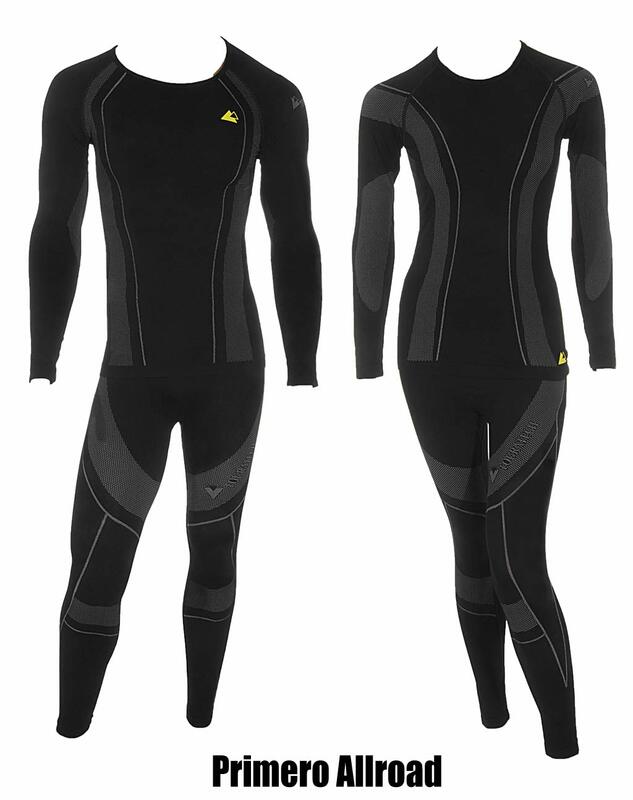  Warm and cold weather base layers specifically designed for the ADV Rider. As summer comes to an end, it’s time for riders to start thinking about the challenges that Fall weather provides. You never know if your next planned trip could bring soaring heat or freezing cold temperatures. With that in mind, Touratech is introducing Primero Base Layers: Thin, comfortable and effective under garments engineered for motorcycle travel in all conditions. Base layers designed for other outdoor activities don’t consider how the placement of seams affect the motorcyclist. All Touratech Primero Base Layers are designed specifically with riders in mind and have no seams in the seating or other critical areas. This results in maximum comfort for long days in the saddle. 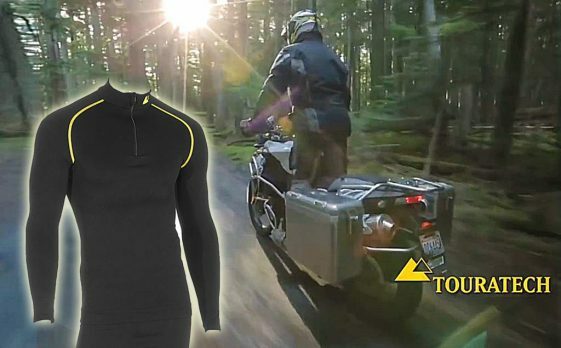 The Primero Allroad is Touratech’s new warm-weather base layer. It offers a contoured fit in order to provide the best moisture-wicking action possible and features breathable panels to keep the rider feeling cool in the heat. The anti-microbial and anti-odor materials stay fresh for days. This synthetic base layer is great for motorcycle travel because it is easy to wash by hand and dries quickly. The Primero Alpine is the perfect base layer for fall and winter riding, providing comfort and breathability under a wide range of temperatures and riding conditions. Alpine base layers combine special flex zones and high-tech insulating materials to give you the ultimate comfort in the cold. 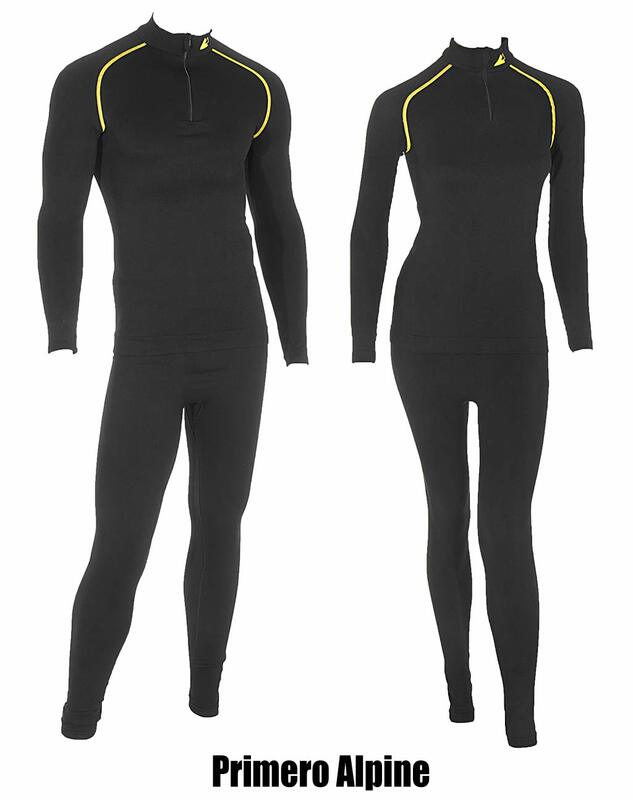 Touratech’s Primero base layers are available in both Men and Women’s sizes. For more details and pricing go to the Touratech website. Great to see them offering a women’s version. My wife is always struggling to find good moto gear for women.